One of the essential tools of a hospital doctor is access to reliable and safe anaesthetics. Today, Propofol is one of the most commonly used general anaesthetics and forms subject of this post. 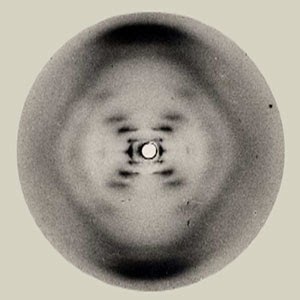 Its chemical structure is shown on the left and, as I think you can see, it looks a little like the side chain of the proteogenic amino acid tyrosine (Tyr or Y), or, as the chemical name indicates, the commonly used disinfectant, phenol (which your grandparents would have called carbolic acid, or simply carbolic). Today, you will find phenol in small quantities in many products, largely owing to the low cost of production and its general disinfectant properties. It is an ingredient in many oral hygiene products, soaps, cosmetics and is a measurable component of Islay Scotch Whisky! Now we are getting closer to the anaesthetic properties of propofol! I should provide a definition and the etymology of the word anaesthesia, before I go any further. The word (sometimes without the second "a") was introduced by the famous American Poet, Medic and Social reformer Oliver Wendell Holmes in 1846, to describe the inhibition of sensation: and is derived from the Greek αν-, an-, "without"; and αἴσθησις, aisthēsis, "sensation"). Phenol, the "molecular core" of propofol, was first isolated in the early 19th century in coal tar and later in petroleum. The dissociation of the "12-o'clock" OH at high pH, makes phenol a weak acid: the benzene ring draws electrons asymmetrically from the oxygen, facilitating release of a proton and supporting (I assume) inter-molecular hydrogen bonding. Hydrogen bonding, together with ring related van der Waal's interactions, gives phenol its relatively high melting point (around 40 degrees C). It is a white crystalline solid (RHS) at room temperature, but is hygroscopic (that volatile alcohol group again) and is often a bit of a mess in a bottle in the summer! Getting back to propofol, my question is really how can the basic skeleton of phenol in conjunction with a symmetrical pair of isopropyl groups (-CH3-CH2-CH3), make most humans fall fast asleep in a couple of minutes! 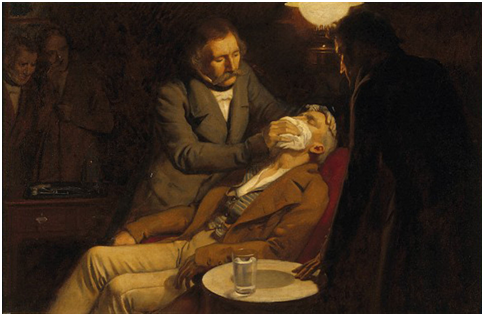 The first general anaesthetics to be introduced into modern medicine (I shall not discuss natural products here), follow the path of the European Industrial Revolution and the birth of the Chemical Industry. Joseph Priestly suggested the application of nitrous oxide (laughing gas, N2O) at the turn of the 19th century and, following the ancient uses of extracts of poppy, opium and morphine became (and remain) potent analgaesics (without pain, as opposed to sensation), in intensive therapies and surgery. But the most widely used anaesthetics in the second half of the 19th century included ether (diethyl ether) and chloroform. As you will appreciate, the rate of diffusion of these gases is an important feature of their rapid action in creating sleepiness and hallucinogenic effects. My final point about general anaesthetics, such as propofol, relates to their mechanism of action. Understanding the mode of action of these compounds is a real challenge for Molecular Biologists. Clearly, propofol and GABA (gamma amino butyric acid, shown left) are unlikely to be competitive inhibitors! It seems clear to me that this is an area of research that requires a "systems biology" approach combined with high resolution structural biology (the work on mapping the GABA-A site came from the use of tagged profolol analogues). The interference with nerve transmission via chemical events and electrical events (such as those orchestrated by our portfolio of ion channels), appears to underpin the anaesthetic properties of molecules like propofol, but rationalising, improving and making future anaesthetics safer is such a key area of pharmacology, that I hope this molecule of the month might stimulate further discussion with students who have a general interest in the Molecular Life Sciences. Oh and Happy New Year to all of my readers!